2016 Summer 1, 2016 Summer 2, 2016 Summer 3. During winter break of 2016, a group of college students did a week of teaching at an elementary schools with great success. They also took time to visit some of the poor students we supported. 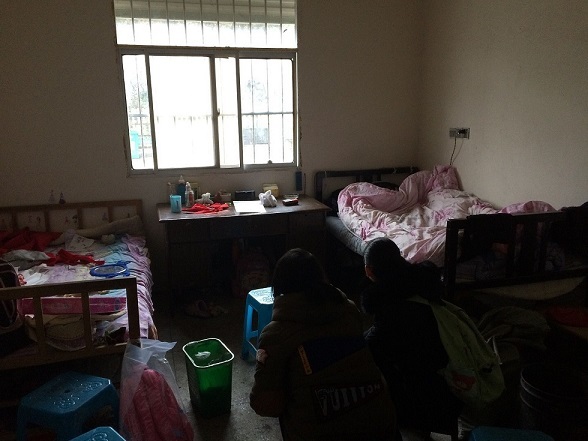 Here are some of poor students' families they visited. This girl lives with her parents and her grandpa and is in 5th grade. 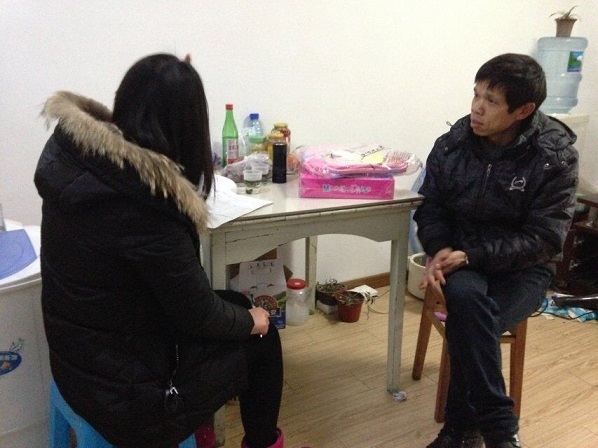 Her father was a little retarded due to a childhood disease, and is doing odd job at a local factory to support the family. Her mother is also retarded and cann't work. Her grandpa is old and can not earn money. They rent a very small apartment. Her grandpa cut wood to cook to save electronic bill. She behaves really well in school and home. She does chores at home. This girl lives her mother, her two siblings, and her aged and sick grandparents. Her grandpa has lung cancer which causes a lot of money. Her grandma is also often sick. Her mother worked very hard during evening to sell local food to support the family, very very tough. Her family recently came back from another province. She works hard and is excellent in school. This girl lives with her grandma and her father. Her mother died when she was very young. Her father got injured several times unfortunately. Most recently, he hurt his eyes harvesting bambos and broke his elbows during a snow days. Her aged grandma sells morning food to support the family right now. She is outstanding in school and at home. I (Tonghai) also met her a couple of years ago and had really good impression of her and her grandma. This boy lives with his aged and sick grandparents and his parents although he rarely see his parents. 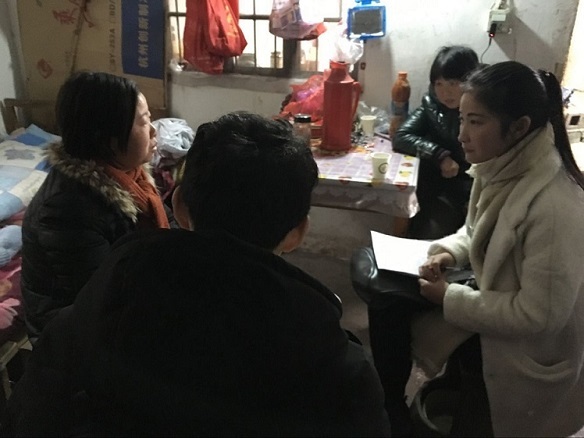 His parents went to Zhe Jiang to work to support the family with still low income as both of her parents had very little education. In addition both her parents have some chronicle disease. Her grandparent have high blood pressure and diabetes. Her grandpa has only one good eye.To save money, their parents did not even come home for the Chinese New Year (sad). He is an outstanding student (2nd in his class), and self displined. This girl lives with her parents. Her father has a stable job at a local factory and her mother does odd jobs to earn more money for the family. She had a very happy family until she was found to have chronicle disease in 2013. 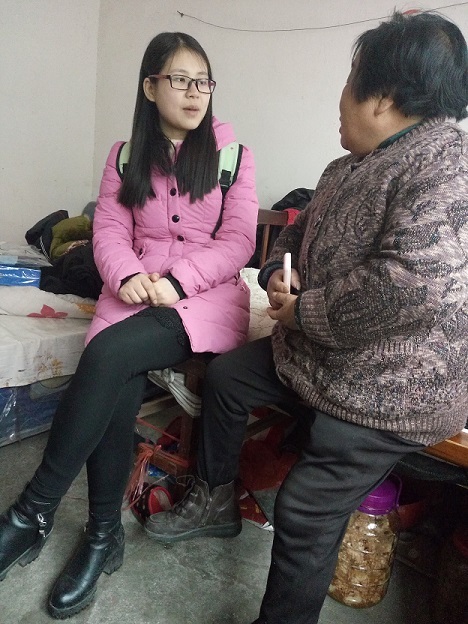 She has to take medication every day and does monthly test, which costs the family 1000 Yuan a month on average and sometimes up to 4000-5000 Yuan a month when she has a medical issue. 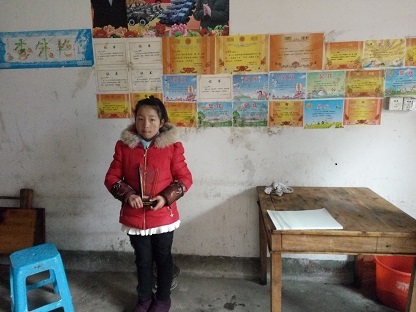 Although she can not pariticipate in a lot of sport activities, she studies hard and is a top student in school, and behaves well in school and at home.